Thank you for visiting our Detroit Dealer's Listing! It's the best way to buy and save money for all Detroit orders. No longer settle for the typical $19.95 oil change with no wear protection, poor cold weather flow properties, totally lacking any quality control in the vat, and does nothing to extend life to your vehicle. The first Synthetic lubricant in America is still the best. It has been guaranteed for 34 years now to protect for 15,000, 25,000 miles and many times longer than that. Even average repairs would be lower such as catalytic converters, intake systems, coolant systems and batteries. Serving the following areas in and around Metro Detroit; Ann Arbor, Auburn Hills, Dearborn, Milford, Pontiac, Rochester Hills, Sterling Heights, Troy, Warren, Ypsilanti. We represent the most responsive Detroit AMSOIL Supply and service, and the top 10 in new accounts in the US. We can meet any need. Additionally if I should happen to not have your selection in stock, shipping is sometimes more convenient as it's only one day or slightly more from the Columbus Distribution center. There is a high demand for all of our synthetic lubricants in the Detroit area but especially the Motorcycle, Diesel, Snowmobile and two cycle products. We usually have what you need in stock but generally we ship from our Columbus distribution center. For your gasoline vehicle try our 100% full PAO Synthetics with our 25000 mile filters. You save gas and stop wasting money at other quick lube centers. With gas prices so high in Ann Arbor, AMSOIL has the solution. Add 8 to 10% to your mileage. You can normally reach 25,000 miles or one year before draining your oil. Also contact us for all your 2-cycle, transmission gear and hydraulic fluids. 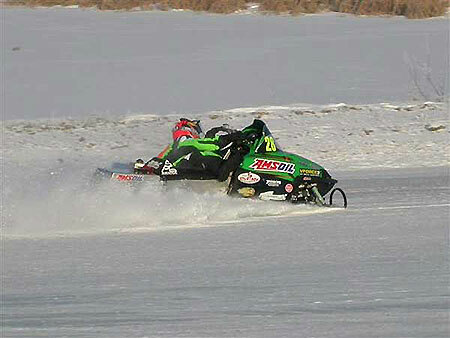 For snow sleds our Interceptor 2-cycle injector oil is one of the best selling items in the industry. Great for Sea Doo. Clean power valve operation for less cost. AMSOIL Motorcycle oils contain additives for rust protection allowing Detroit bike owners to store their bikes in the winter and not worry about any condensation problems. Rust protection has never been a part of a motorcycle oil because it conflicts with temperature control but AMSOIL has found a solution to the problem. Michigan climates can be brutal on lubricants. AMSOIL of Detroit has this problem solved. AMSOIL offers so many options but several of our products are designed to simplify inventories. We offer products for engines and transmission, which are universal such as the AMSOIL ACD Heavy Duty 10W30/SAE 30 Diesel Motor Oil and ATF Universal Automatic Transmission Fluid. We also offer very specific product applications such a 5W30 transmission fluid, industrial lubricants or a large selection of powersports synthetic oils and filters. Local Detroit demand has created a great need for AMSOIL dealers in this area, especially in the outlying areas towards Ann Arbor. Micigan is tops in AMSOIL demand. We need dealers. You get excellent support from myself as I am part of one of the most resourceful AMSOIL dealer groups in the country. We can send local and web generated leads your way. The #1 question we get from local customers is, "Where can I find AMSOIL here in Detroit?" or any other city. Our distribution center can quickly have your product anywhere whether you need 2-cycle for your dirt bikes or ATV oil, or if you have a weed eater you need to last in the hot & humid seasons of the great lakes area. I asked this question recently of a known automotive service center in S. Dakota.. He shamelessly responded "it is not in my best interests to sell products that would extend drain intervals to once a year or 25,000.... or more or even your lube center product of 6-months". "Sorry but I was raised in a time where this was the normal and accepted way to protect a automobile. 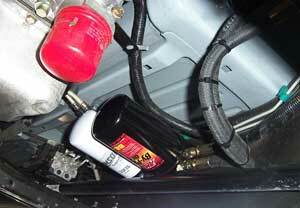 I know the AMSOIL products will go a year or more with today's synthetic oils and filters. But, I need the customer returning back to me every month or two. I am in the oil change business. My income is at stake." - Nonsence! The best quality for the customer is not his priority. This guy is not a Patriot. AMSOIL Interceptor 2-cycle Injector oil.